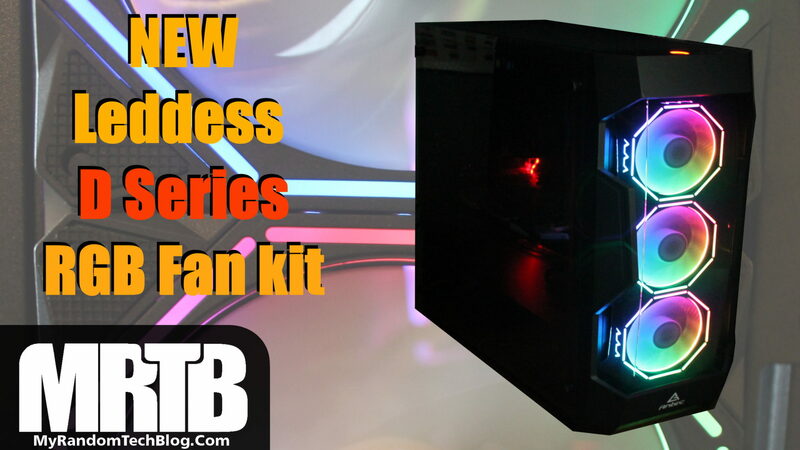 Here is my review for the new LEDdess D series RGB Rainbow fan kit (120mm) that just came out. I was just looking for a set of 120mm fans to add to my Antec DF500 case that I just recently did a Ryzen build in. 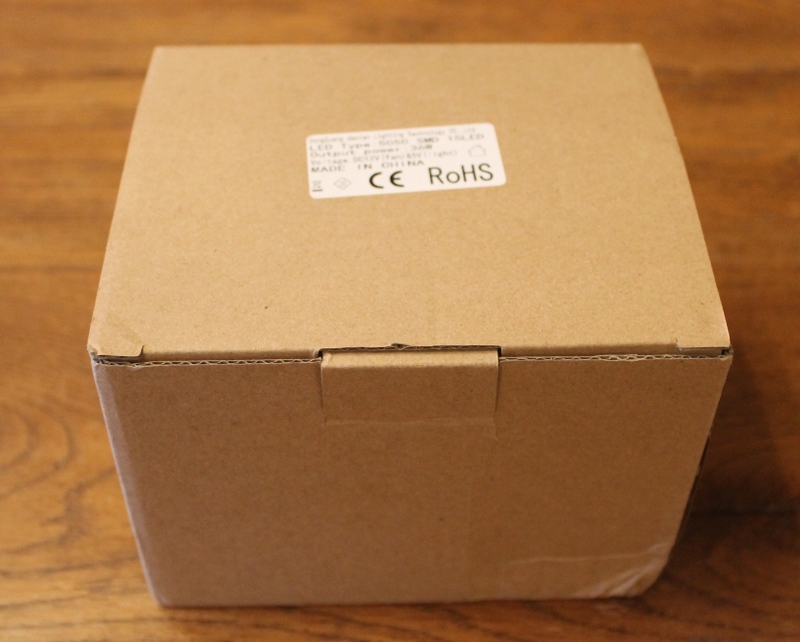 While I really liked the case, it only came with a single 120mm fan in the rear. 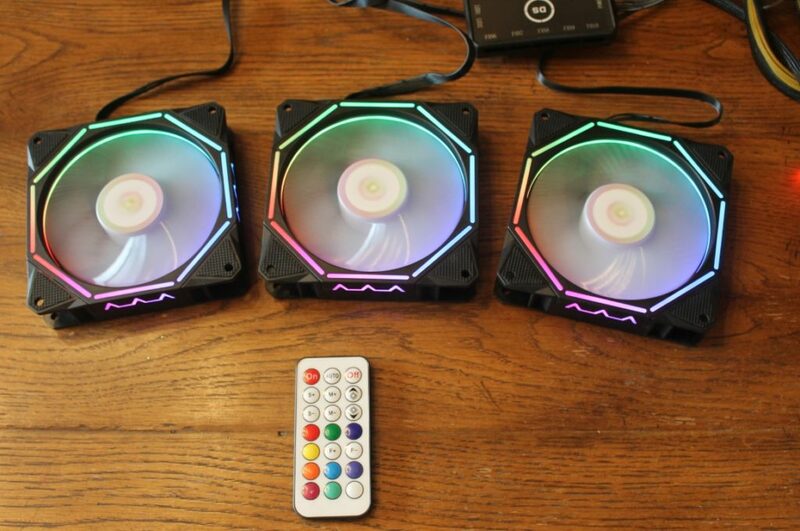 The folks over at LEDdess sent me 3 of their new “D series” fans free to review. If you have seen some of my other posts you will see that I have purchased some LEDdess (DS) fans in the past and really liked them. 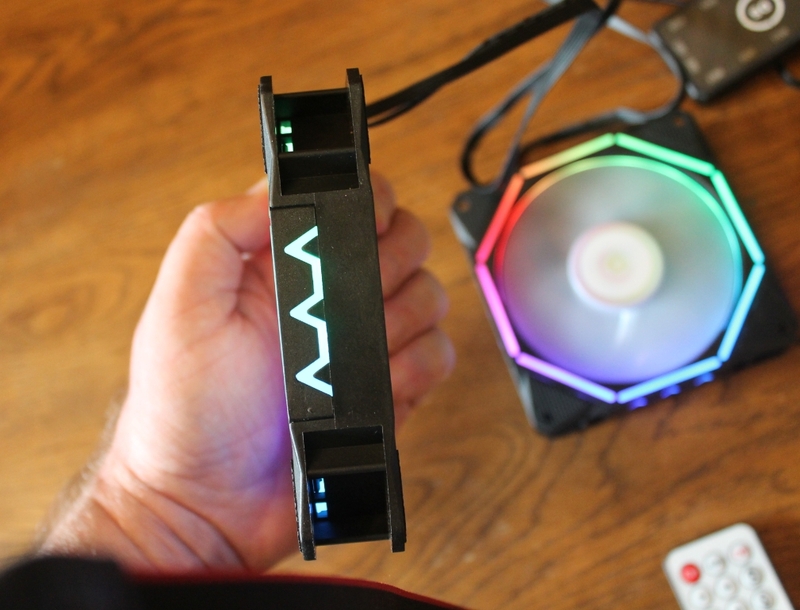 So I was anxious to check out this new version of RGB fans they have available. Disclaimer: This post is for entertainment purposes only. This is just documenting me working on my PC’s. Any work you do on your PC is at your own risk. This product was supplied to me free of charge. That did not influence the opinion in the review. Also this site uses affiliate links. This means I may make a small amount of money at no cost to you if you buy something after clicking a link on this site. This is the package that they came in, It was the 3 pack of fans, but when I checked amazon I see they also have a 5 pack available if you need more for your case. 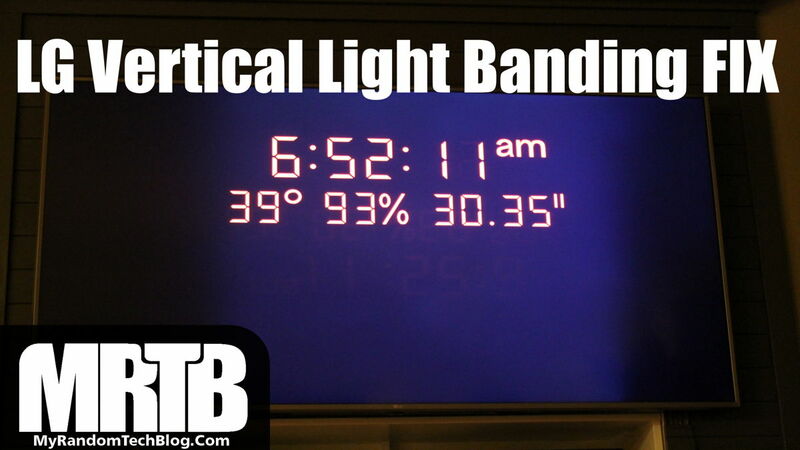 They also sell some additional LED strips you can purchase as an add-on. 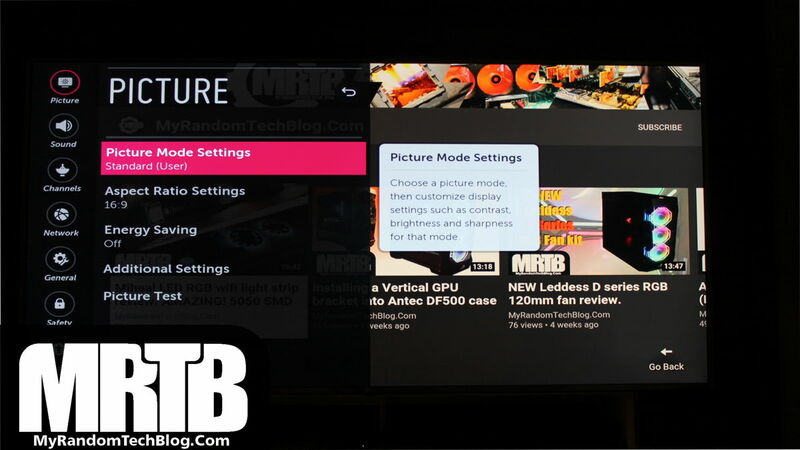 The controller can handle up to 10 fans and 2 led strips per the specs. 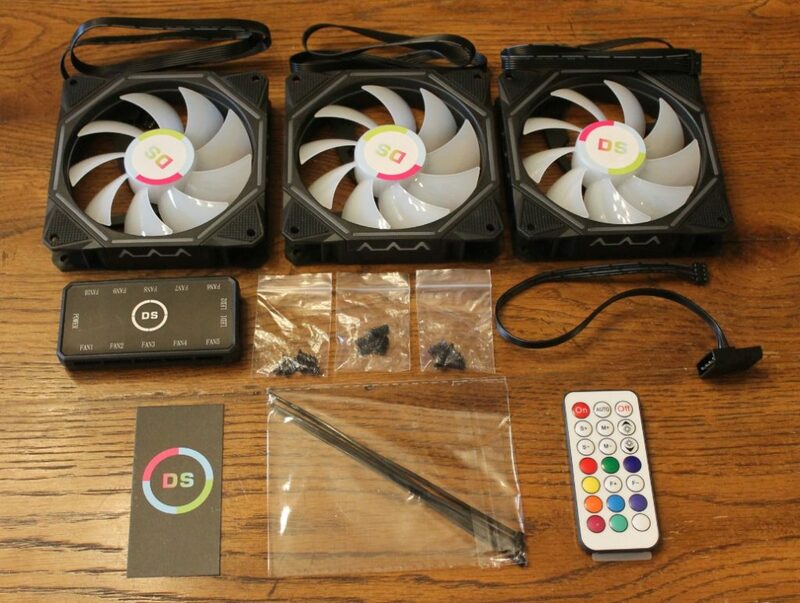 This is how the 3 pack of (DS) D series RGB fans came packages. Here are the contents of the box, 3 of the new D series fans, fan screws, Fan controller, fan remote, power cable, warranty card and some tie wraps. Pretty much everything I would need to install them. Contents from the leddess D series 3 fan kit. 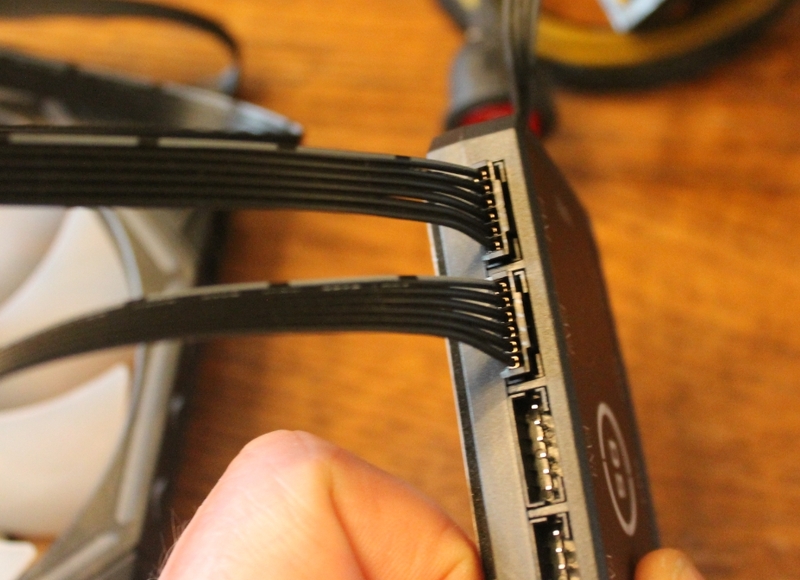 The connectors are small so I always take the time to make sure I am plugging then in correctly and not upside down. Would be easy to break some pins. I plugged the fans into the fan controller. Here is a shot from the back, notice that you will not get much light on the exhaust side. The glowing bars around the fan are on the intake side. The light also shows on the side of the fans with this design that was added. The design does not represent airflow direction. 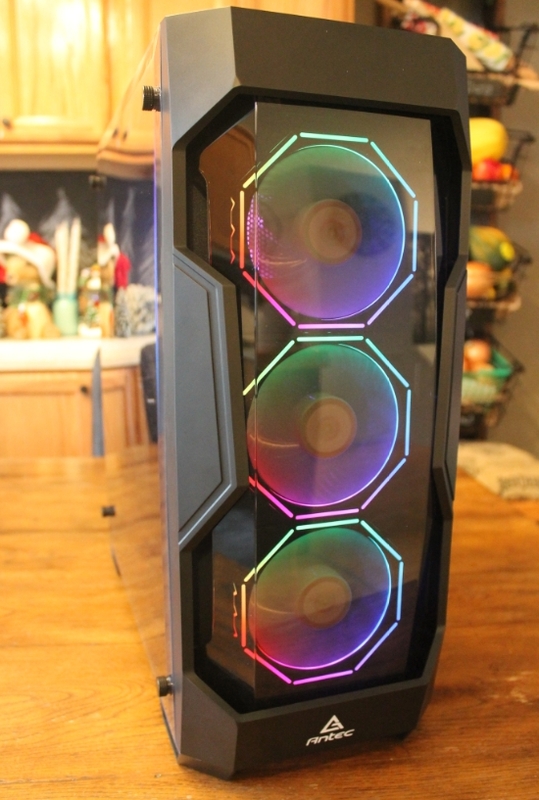 Side view of Leddess D series RGB fan. 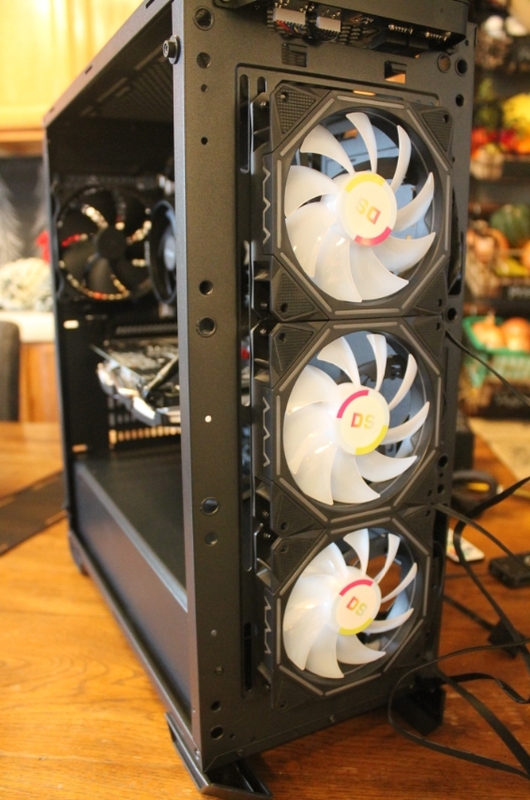 Adding the fans to my Antec DF500 case was amazingly easy. Just pop off the panels and screw them in with the supplied screws. This is how I mounted the controller. It had doublesided tape on the back so I could just peel off the backing and stick it to an empty spot. 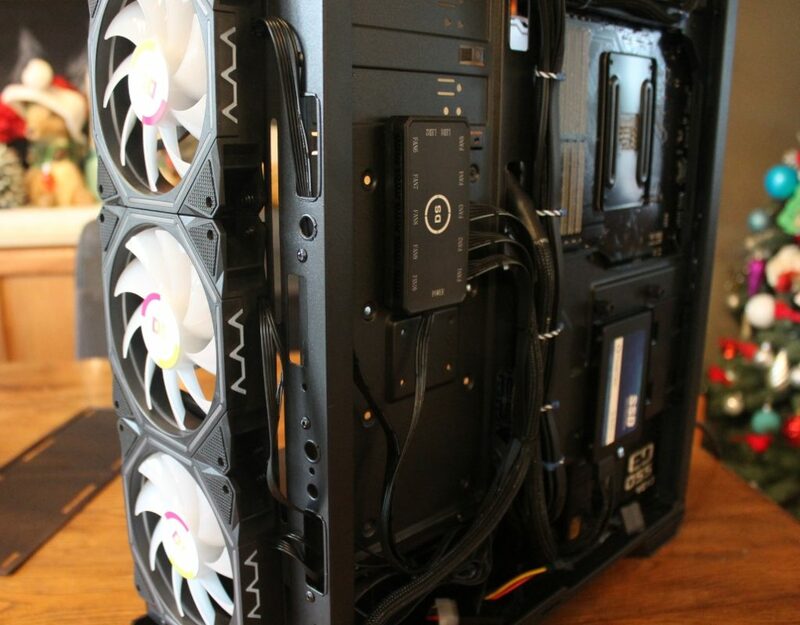 The fan cables were just routed to the backside of the case and plugged into the controller. Then I plugged in the power from the controller to the power supply. No motherboard connection needed. Installing the leddess fan controller in the back of the case so it’s hidden. The connectors are small so I am always careful Be careful to make sure you plug in the connectors correctly. I went ahead and fired it up to verify everything is working good before putting the panels back on the case. They looked great with the tinted front cover back on. Here is a picture of it sitting on my desk with the RGB ram turned off so you can see just the fans. I think the fans look really nice and they have a bunch of color choices. 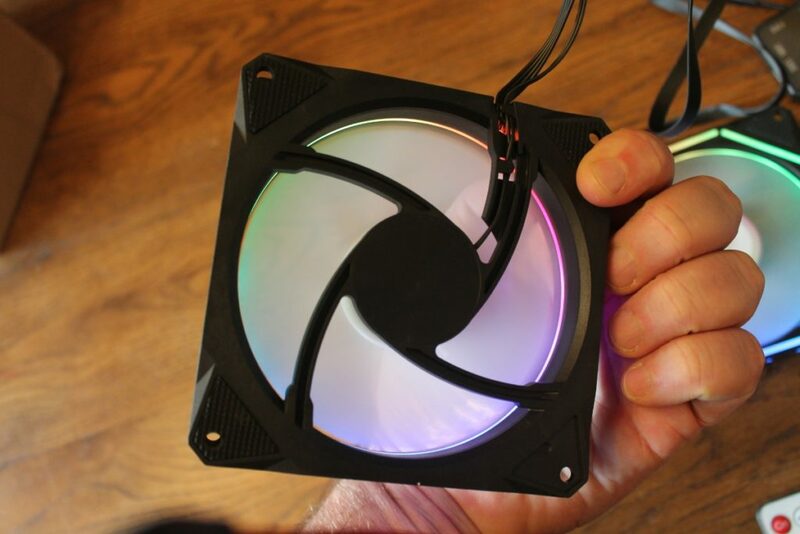 I really liked this LEDdess D series RGB fan kit, and they keep the price very reasonable for people on a budget. 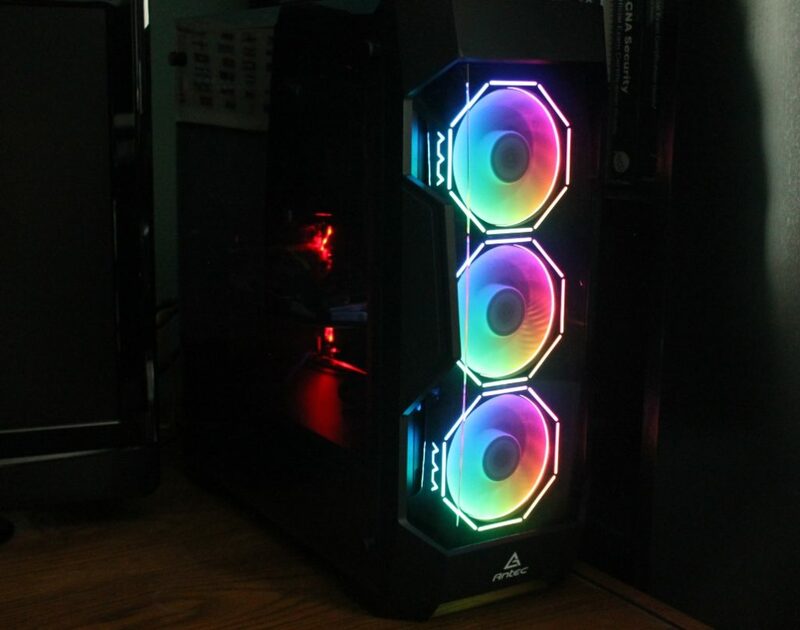 I have also had good luck with my other RGB leddess fans in my sons PC. Those have been trouble free for over 8 months now. One new feature I want to mention on these new fans is fan speed control. This is really a nice feature as you can adjust the speed of your fans as you see fit. My sons older fans did not have this feature. Another thing about these fans is they have a ton of different preset color combinations and designs to chose from. So in this post I am mainly just showing the rainbow. But I will also do a youtube video so you can get an idea of some of the color combo. 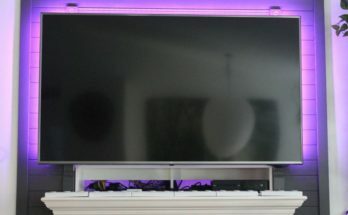 Here is the parts list of this build in case your interested. 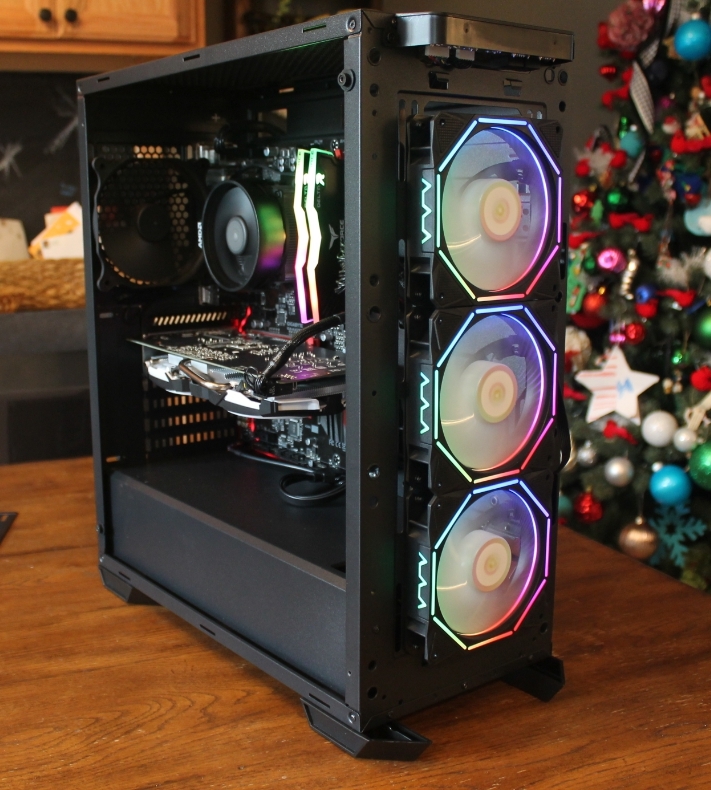 If you would like to check out my review of Uphere RGB heatsinks to add RGB to your non RGB ram you can see it here.